Remove your annoying, unwanted dents! So why should you choose Dent Magician? Like fingerprints, not all dents are the same. They can vary from a small dent caused by a shopping trundler hitting a car door to a large dent being created by someone sitting on a bonnet. Our ongoing extensive training program has allowed our technicians to master the technique of removing a much wider range of dents. Our specialised up-to-date tools, advanced technical skills along with our nearly developed glue system, allow us the ability to access to over 98% of the vehicle, which ultimately increases the chance of getting more dents out successfully through a paintless method. This combined knowledge and skill means that our clients will save money by using Dent Magician as a wider range of dents will be removed using paintless dent removal rather than the more expensive alternative of panel and painting. 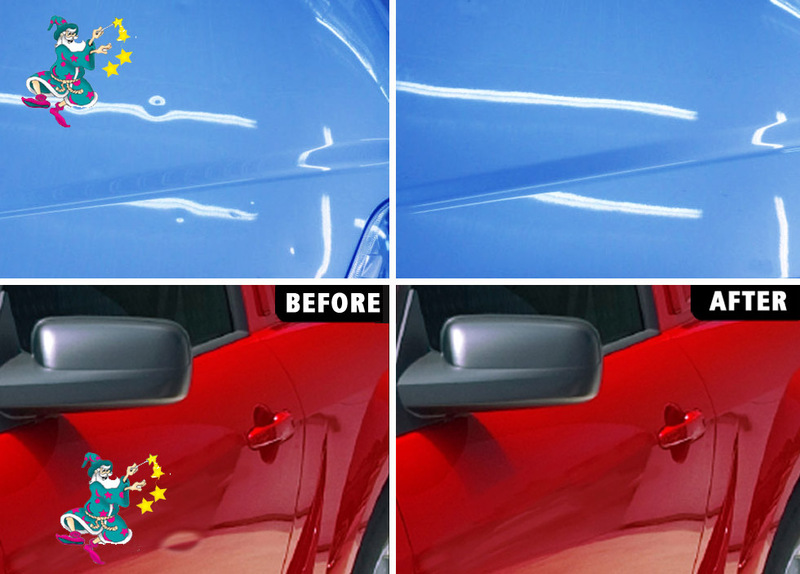 With Dent Magician you have the peace of mind knowing the quality of repair will be exceptional every single time! All our technicians are qualified and Certified which means that they have reached a standard of repair that we would like to think is the highest in the country. We are so confident in our quality of repair that we offer all of our clients a 100% Money Back Guarantee if you are not truly happy with the final result. Whether you own a private car, leased vehicle or a fleet of commercial vehicles, we can save you money! We offer extremely attractive wholesale rates for car dealerships and panel and paint shops that need to outsource the dent repairs for their own clients.